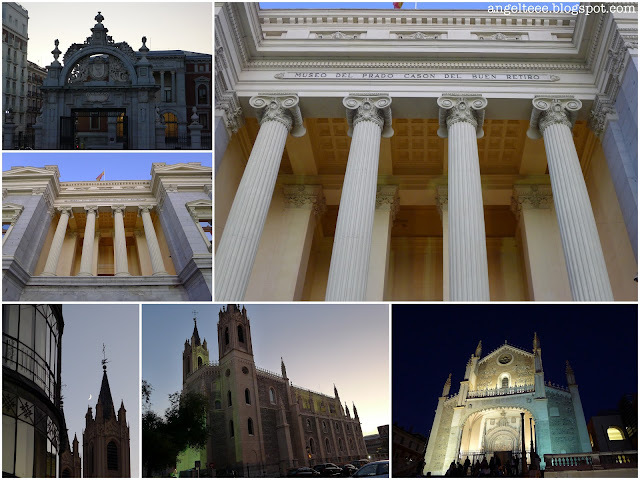 Here's the continuation (and last installment) of the MAD about Madrid series. Here, by the way, is Part ONE. The Puerta del Alcala used to be the main entrance to Madrid and is now a symbol of the city. 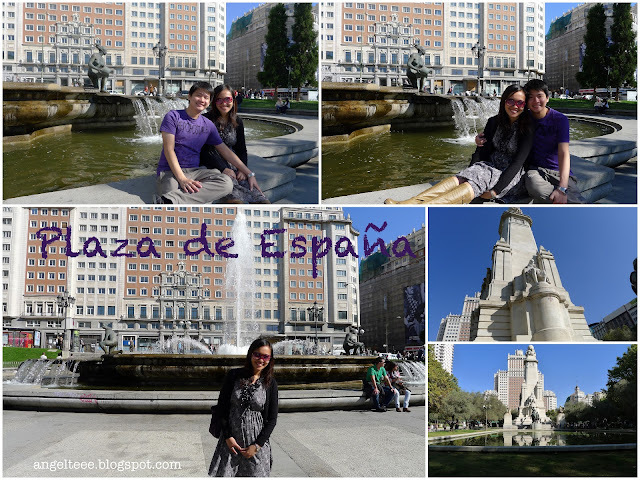 Plaza de España (Spain Square) is a large square and is a tourist attraction too. Bordered by Madrid's two famous skyscrapers, the square features a monument dedicated to a Spanish poet, novelist and playwright, Miguel Cervantes Saavedra. 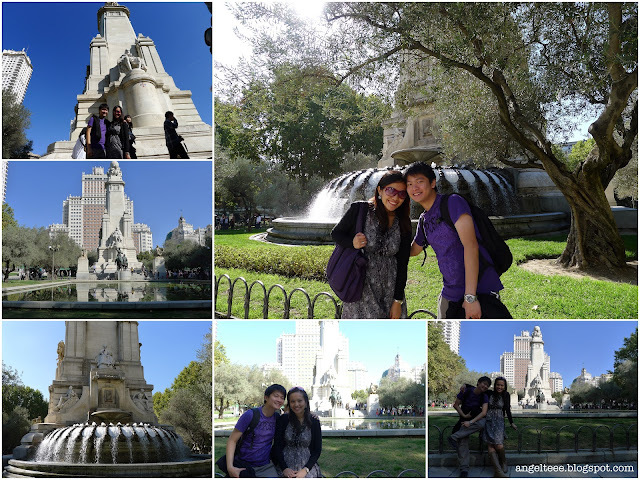 If had to choose a favorite spot in Madrid, it had to be the Templo de Debod. 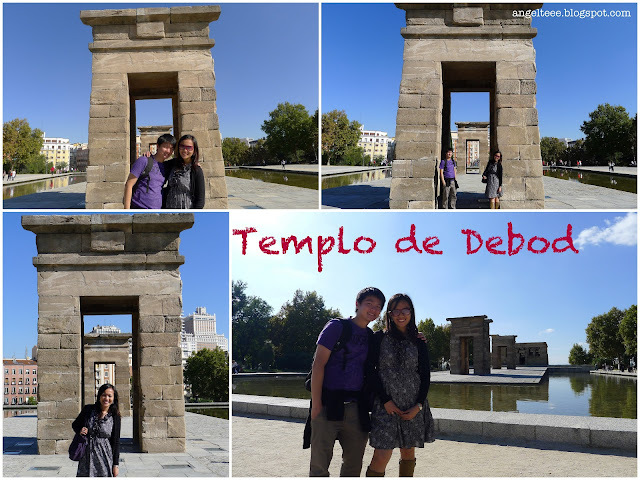 Madrid, with its tourist spots is beautiful, but Templo de Debod stood out because it gave a feel that you're not in Madrid - it certainly wasn't European at all! Templo de Debod is an ancient Egyptian temple (from second century BC) right in the heart of Madrid. This was brought to Madrid (stone by stone) in 1968 as a thank-you for the help in the conservation work done in Egypt. Imagine a temple more than 2000 years old! 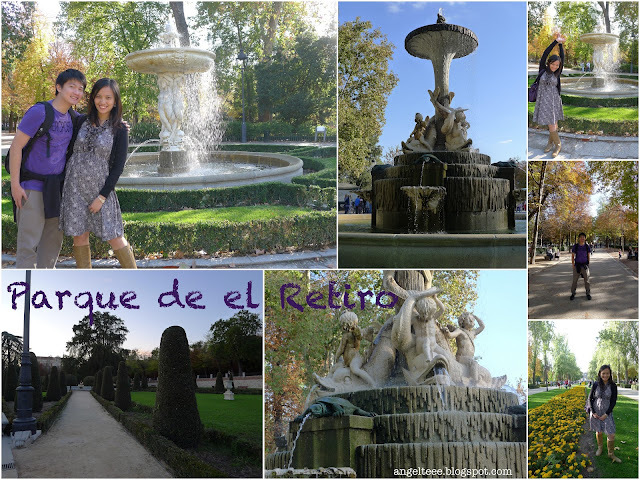 Parque del Retiro is one huuuge park! 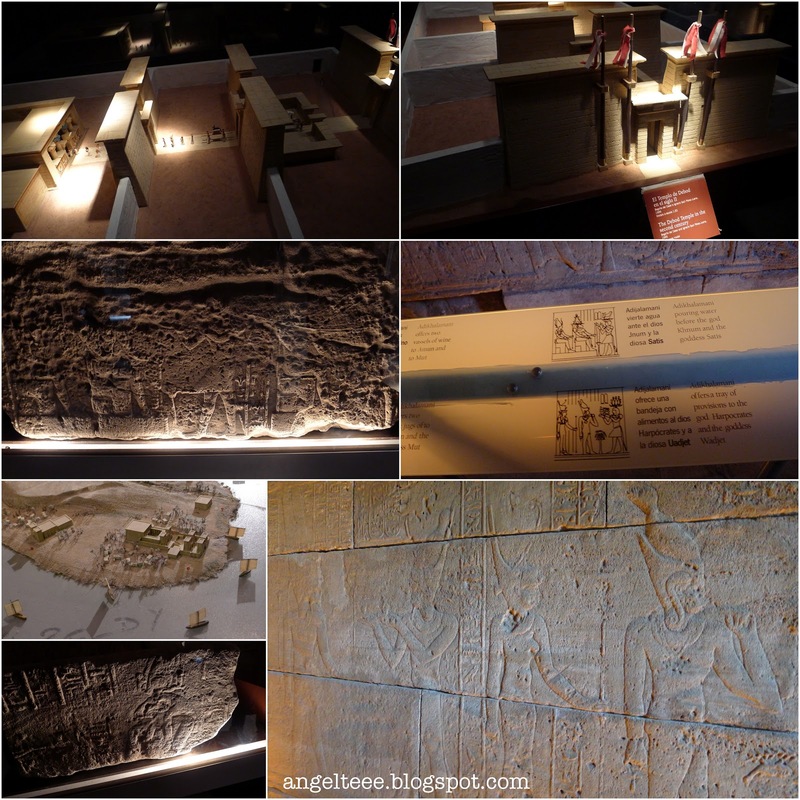 This is where once upon a time, kings relaxed and spent their time indulging in leisurely activities. Now, this place offers countless of activities for locals and tourists alike. 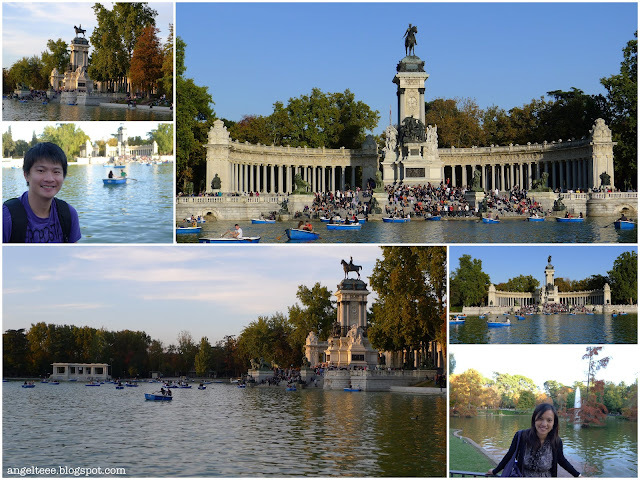 This park houses a museum, lush green areas, concerts, puppet shows, ponds etc. And there's boat rides too! I could just imagine spending a quiet afternoon boating. I could just mentally picture myself sitting prettily in the boat, ordering J to paddle quick while he's drenched in sweat! haha! But we just didn't have the time! Haay, traveler's oh-so-precious-every-minute-counts time! 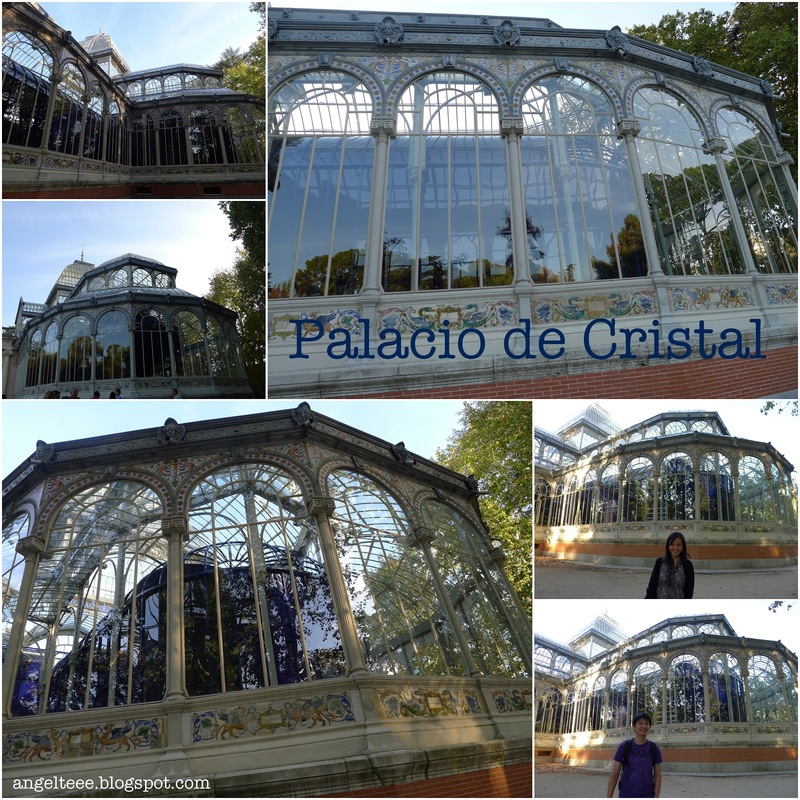 Among the many charming locations within the park are the Palacio de Cristal and Palacio de Velazquez where you can browse through art exhibits. 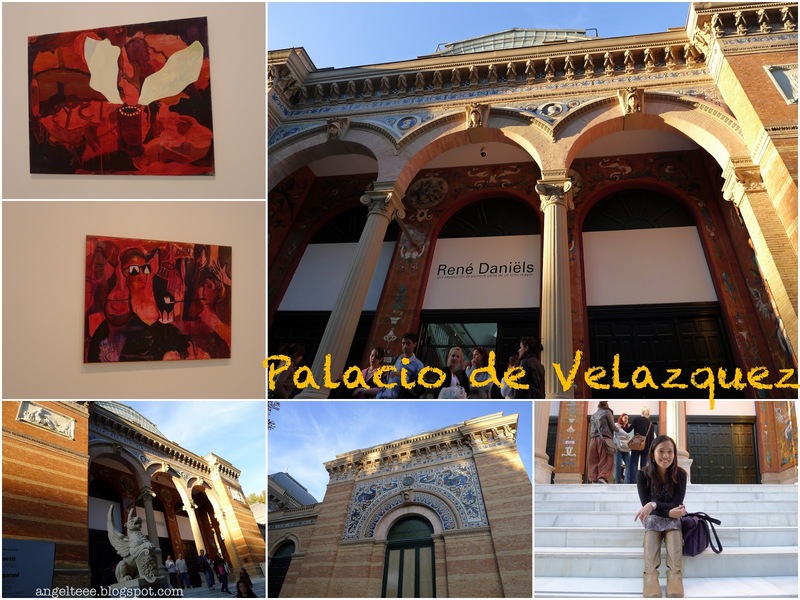 Palacio de Cristal's exhibit was closed that day, but we were able to go to the exhibit at the Palacio de Velazquez.